Welcome to our paddle boarding family. 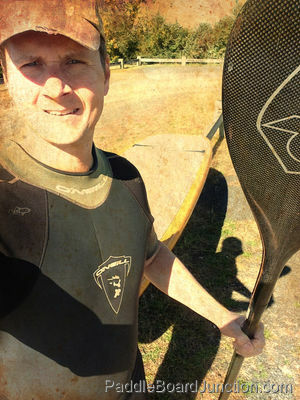 What grew out of a simple curiosity for the sport of stand up paddle boarding turned into an obsession. Married couple Kurt and Zoe paddle board anywhere and everywhere! They even paddle board with their dog on occasions. Kurt grew up surfing but his adult life sentenced him to a semi land-locked existence in the middle of Connecticut. Zoe an avid swimmer from youth also missed the aquatic lifestyle. With rivers, lakes and an ambition to travel we Kurt and Zoe have managed to stay in the water through the sport stand up paddling. Join them as they document their paddle boarding adventures and share what they have learned about the great sport of stand up paddle boarding.